ISLAMABAD: Setting aside fierce US opposition to the Iran-Pakistan (IP) gas pipeline project, in a strategic move, the pipeline may be stretched and connected to western China as Islamabad and Beijing have made it part of the planned economic corridor. Earlier, India was actively involved in the pipeline project, but withdrew following a civil nuclear energy agreement with the US. Now, prospects have emerged that China will replace India and receive gas from the pipeline that will connect Iran, Pakistan and China. According to sources, Pakistani and Chinese officials will discuss the laying of the gas pipeline from Gwadar to western China in a meeting to be held here on August 26. They will also take up a proposal about constructing an oil pipeline between the two countries. The two sides will sign a memorandum of understanding (MoU) on the economic corridor, which had already been approved by the cabinet. The upcoming dialogue is a follow-up to Prime Minister Nawaz Sharif�s visit to China in the first week of July. During the trip, Chinese companies expressed interest in laying the gas pipeline from the Gwadar Port to western China. Iran has also expressed interest in stretching the pipeline to China. As part of the economic corridor, Gwadar Port will be connected through road and rail links to China which will help enhance trade between the two countries. Oil and gas pipelines will feature in the economic corridor, providing much-needed boost to economic activities in insurgency-hit Balochistan. Pakistan government has asked Iran to bear the entire cost of the gas pipeline as it has found it difficult to arrange funds from some countries following pressure from the US. 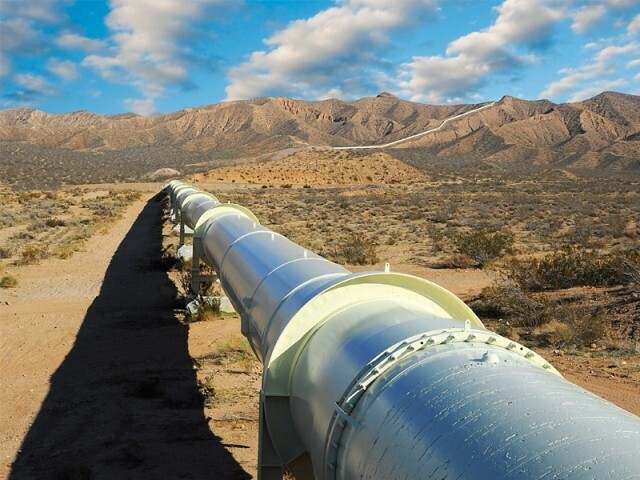 The US is pressing Pakistan to shelve the IP pipeline and rather focus on the TAPI gas pipeline which will start from Turkmenistan and reach India through war-torn Afghanistan and Pakistan. Total cost of pipeline construction in Pakistan has been estimated at $1.5 billion. To cover part of the cost, the government will award a contract for engineering, procurement and construction (EPC) to Iranian firm Tadbir Energy. �We are waiting for a response from the new Iranian government,� an official said, adding Tehran had already assured the previous government that it could enhance the credit limit if required. Under the project, Pakistan will import 750 million cubic feet of gas per day (mmcfd) with an option to increase it to one billion cubic feet. Of the import, the Balochistan government seeks to consume 250 mmcfd at the Gwadar Port, which may encourage the central government to purchase more from Iran to meet needs of the least developed province.